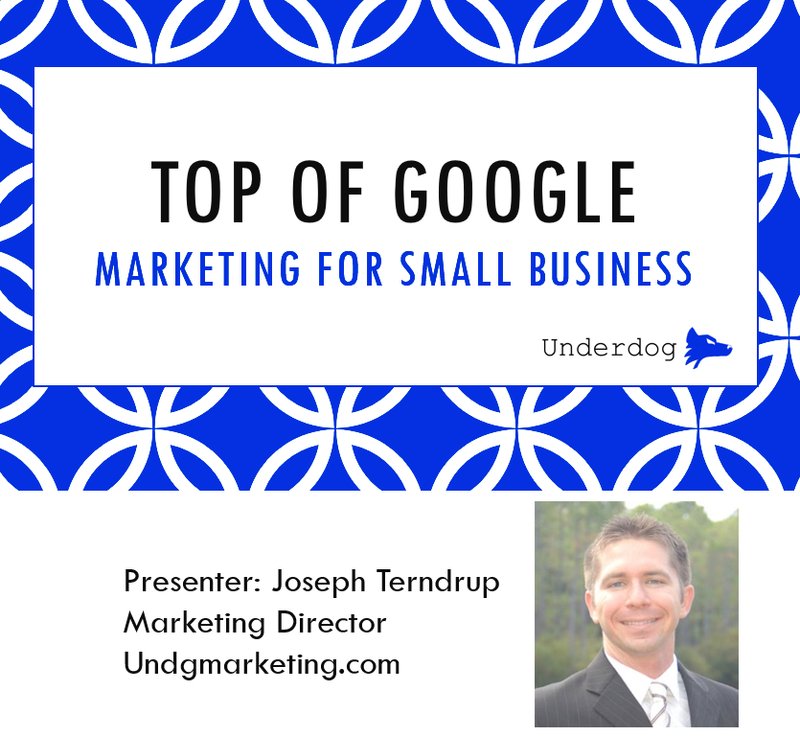 We'll go through 5 Steps, 37 Tips, and 15 Warnings to help you increase your Google ranking. Register for our webinar where we'll walk you through what we learned from analyzing 27 small businesses' online presence. Here's what else you'll get! Free Expert Web Presence Audit. Have real experts give you their opinion on your web presence. Exclusive access to small business webinars. Updates on incredible content, business webinars and free bonuses! Step 1: Is Your Website Hurting Your Business? In the first step of our Webinar, we'll cover web development secrets understood by successful online businesses. You'll learn about on-page SEO problems that stop Google from being able to crawl your website effectively. Can you answer the question: "Is your website hurting your business?" Step 2: Is your business invisible online? I've found a small business owners sometimes believe a fairy tale. For some reason they think that if they build a website their customers will come. It doesn't happen for a number of reasons. 1) Google doesn't find websites that aren't linked to. 2) Google doesn't rank websites that aren't being connected to by other sites. Overall, in step 2, we walk you through how citations help make your business visible to your customers. Step 3: Will one bad review cripple you online? One bad review can kill your online brand. How? Google scrapes customer reviews from important directories online. If you haven't prepared your online presence in those directories, then one or two customers can rate you poorly, and every customer who searches for you online will find those ratings. This destroys your brand image and credibility online. Furthermore, these reviews are considered in how Google rates you in local search.​ This also lowers your chances of getting found by your customers. In step 3, we'll go over what you can do to make sure your customer reviews mirror your business' brand image. Step 4: The single most important factor in your Google Ranking. Does your website have more links than your competitor? Effective link building is the single most important attribute to get your business ranked high in organic search. We'll show you how to find the number of links you have versus your competitors, and talk to you about link building strategies. Step 5: Has technology left you behind? In 10 years Facebook went from 0 Business pages to 25 Million registered businesses. It amazes me that business owners don't use Social Media to sell and connect with their clients. In our web presence we'll cover how to profitably grow your business through social media. Don't be left behind, sign-up now.